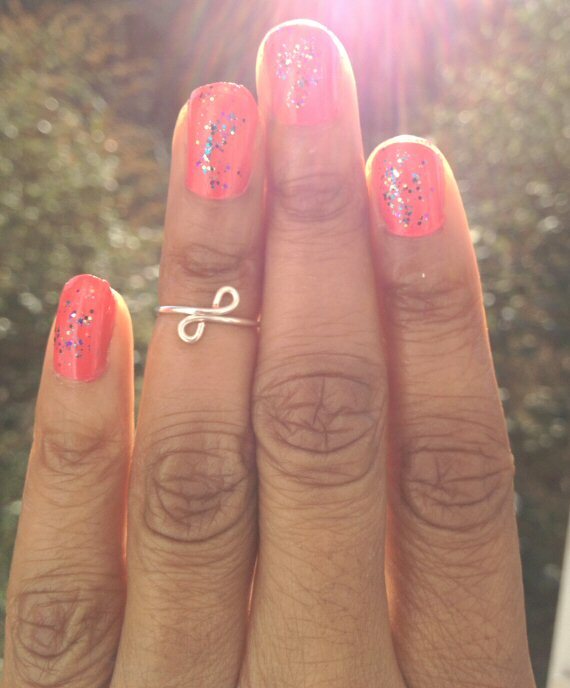 Such a cute little Sterling Silver midi ring! A simple double loop design, which will look fab with anything! Nail Polish used: Collection 2000 “Hot Looks” Neon Art and Barry M Amethyst Glitter.